Pleasanton Shutters & Shades is an authorized dealer of quality Hunter Douglas blinds & Custom Brands Group. We provide a selection of shutters, shades and window treatments. Our experts will assist in selecting the ultimate in window treatments for your home. A process of efficient, safe and thorough cleaning techniques are employed to bring customers the ultimate in guaranteed customer satisfaction with friendly service. Pleasanton Shutters & Shades is licensed, bonded and insured. Why throw perfectly good blinds away when they can be cleaned and repaired for a fraction of the cost of new ones. You would be surprised what can can be repaired. We serve clients throughout the greater San Francisco East Bay Area. We take pride in what we do and are proficient at returning your window coverings cleaned, allergy free and in pristine conditions. Get rid of those embarrassing eyesores of dirty or bent blinds and feel good about your home again. Explore inspiring photo's that match your unique style and needs. Well-designed window fashions do more than simply cover a window. our products form and function are inseparable. 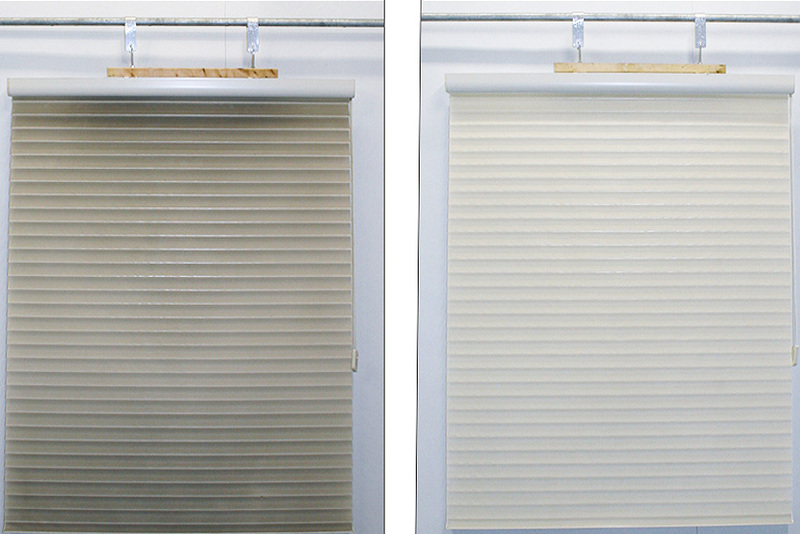 Most blinds can be repaired (same day) at a fraction of the cost to replace them. We have hundreds of parts and can fix most types of shades and a variety of products. We can re-string them, put in new tilter gears, new cord locks etc. In some cases we can even cut down the width and height. We are a certified Hunter Douglas dealer and do Hunter Douglas warranty work. Remember, don't throw away your blinds until you call us first! Sign up with your name and email address to receive discount coupons on blind cleanings and repairs. NO SPAM Policy! We respect your privacy.